Orb weavers, or garden spiders, are very brightly colorfully patterned. There are so many varieties! They can build huge, intricate webs overnight and are actually considered to be very beneficial for your garden. Orb weavers love vegetation, moisture, and areas that are home to many other types of insects. You can find them in your cucumber patch, your flowerbeds, or your shrubs. Garden spiders are a wonderful form of natural pest control, since their diet consists of other insects, some of which could actually be harmful to your garden. So, they do a good job of keeping the “bad” bugs at bay in your garden or yard. Since these spiders are actually beneficial, it’s a good idea to keep them outside, where they belong and let them do their thing, eating other harmful pests around your property. If this spider finds its way indoor, it’s most likely just lost. Everything this spider wants, likes and needs is outside. 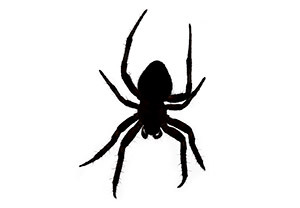 If you begin to notice an influx of their webs along the structure of your home, your technician can apply a material to ward them off, keeping them away from your house and outside where they belong.